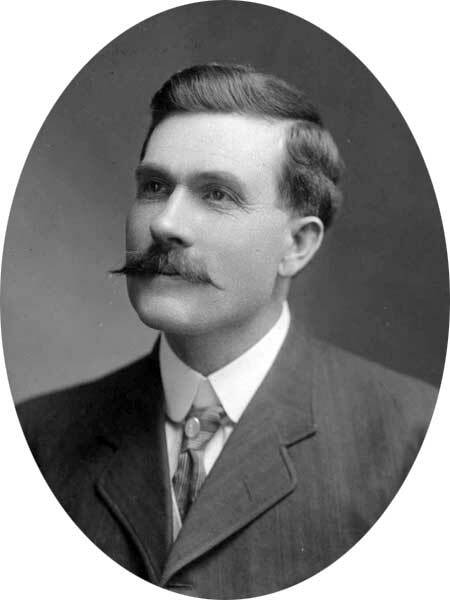 Born at Smiths Falls, Ontario on 8 October 1865, son of Samuel Lyle and Mary Moore. His ancestors were born near Belfast, and emigrated to Canada about 1848. Amos was educated at Smiths Falls and Morrisburg. In July 1886, he moved to Manitoba with his three brothers, pioneer residents in the southwest corner of the province for whom the Lyleton district was named. He spent some time in British Columbia but returned to Manitoba in 1891, taking up a farm breeding pure-bred Clydesdale horses. On 5 July 1899, he married Lillian Lyle (1870-1940), daughter of William Lyle of Kitley Township. They had no children. He stood as a candidate for the provincial constituency of Arthur in 1907 but was defeated by John Williams by three votes. He defeated Williams at the 1910 general election and served one term before being defeated narrowly in the 1914 general election. He died at his Lyleton home in early April 1943 and was buried in the Lyleton Cemetery. The Canadian Parliamentary Guide, 1914. Obituary, Winnipeg Free Press, 14 April 1943, page 2.